After discovering New Zealand in 1642, the Dutch explorer Abel Tasman set sail, never to return. This first known European visitor could hardly have imagined that tens of thousands of his countrymen would eventually disembark there. It is a measure of New Zealand’s isolation that 310 years after Tasman, those post-war Dutch immigrants were the first continental Europeans many New Zealanders had seen. They suffered prejudice and homesickness, but they also injected innovation and sophistication into the culture, and produced some 100,000 descendants. Dutch explorer Abel Tasman is the first European known to have sighted New Zealand. When he reached the South Island in 1642, he thought he had found a new southern continent. He anchored in present-day Golden Bay, but left after four of his crew were killed by Māori. Later, the country was named after a Dutch province, Zeeland. Very few immigrants arrived from Holland (officially known as the Netherlands) in the 19th century. But some made their mark, including artist Petrus van der Velden, and the Catholic Mill Hill Fathers, who worked among Māori. Needing more people for the country’s progress, New Zealand began opening its doors to non-British immigrants. In 1939, five Dutch carpenters arrived. This trickle became a flood after the Second World War, when Germany had occupied the Netherlands. Life there had become very hard, and thousands left. Some Dutch also came from the Dutch East Indies (now Indonesia), during its fight for independence. 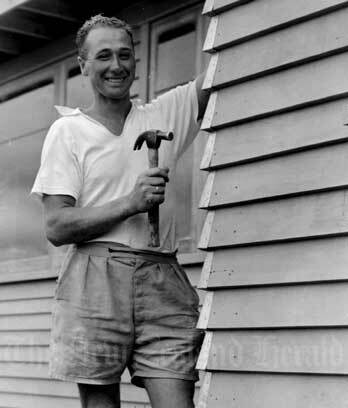 New Zealand’s Dutch immigrants of the 1950s were mostly young men. Some brought kitset houses with them. By 1968, 23,879 had settled, forming the biggest group of non-British immigrants. But as the Dutch economy recovered, fewer came to New Zealand. Pressured to be ‘new Britishers’ and to settle far apart, the migrants missed their friendly communities. Workers whose fares had been partly paid by the New Zealand government had to stay for two years in jobs such as building railways. But this first generation welcomed New Zealand’s open spaces and plentiful food. Two-thirds stayed, many marrying locals. Since the 1990s, speaking Dutch has become an important way to keep the culture alive. The Dutch brought new ideas and styles. Some started restaurants and cafés which served continental food, good coffee and wine. Others contributed in art, design, photography, and sports from netball (Yvonne van Willering) to rowing (Eric Verdonk). Today some 100,000 New Zealanders are believed to have Dutch blood.